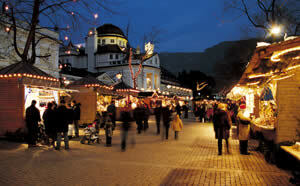 The Christkindlmarkt Meran is the largest Christmas market in Merano with over 80 stalls. 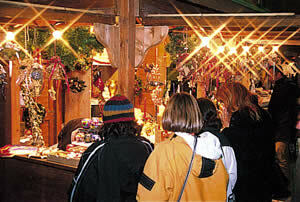 The Christkindlmarkt Meran extends from the sandy place on the promenade along the Passer until Thermenplatz. On Thermenplatz in the Therme Meran is a large ice rink for children and the Alessi balls, large heated baubles with table and seats inside, ideal to warm up and to taste local dishes. A trip to the medieval arcades of Merano worthwhile. 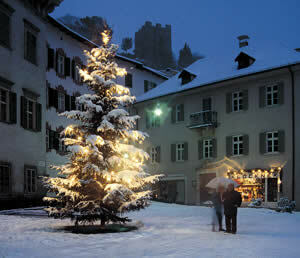 These are just a few steps from the Merano Christmas Market from. 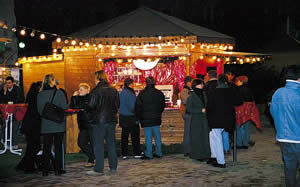 At numerous food stands, there are various dishes, South Tyrolean specialties, mulled wine, punch and other to taste. 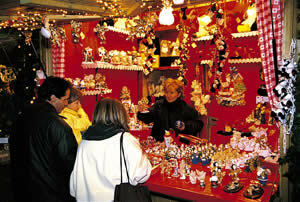 The Meran Christmas market is open from 24 November to 06 January. 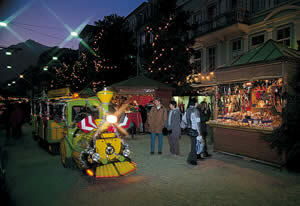 On 25 December, the Meran Christmas market will be closed.